Many Traveller children are leaving school after eight or more years of education unable to read and write, and many are being allowed to attend for only part of the school day, an Oireachtas committee has heard. Addressing the Committee on Education this afternoon, representatives from Traveller groups called for proactive and targeted initiatives to improve the experience of Traveller children in the system. The committee heard that while 92% of children overall complete second level education, just 13% of Traveller children do, and just 1% of Travellers make it to third level. Maria Joyce, co-ordinator with the National Traveller Womens' Forum, said many Traveller children currently in primary school were having a very negative experience. This included bullying and racism and an absence of positive representation of their culture. She said discrimination experienced included enrolment policies, which disbarred Traveller children. A disagreement arose among politicians attending the session as to whether or to what extent teachers were to blame for the negative experiences of Traveller children within the system. Senator Collette Kelleher, who is not a member of the committee but was in attendance, said she was concerned about their responsibility and role. She called on schools to eradicate the practice of reduced timetables, and on the committee to make strong recommendations about the role of the teaching profession. "If I was a teacher looking at those statistics, I wouldn't be very proud", Senator Kelleher said. Chair of the committee Fiona O'Loughlin however disputed the Senator's criticisms, saying it was unfair to "lay it at the door of teachers". Some committee members including Jan O'Sullivan and Lynn Ruane supported Senator Kelleher's comments. Responding to this disagreement, Maria Joyce said that speaking "as a traveller mother who has put her child through the education system", she knew personally of "blatant racism" from some teachers. "I have had to listen to my son come home from school and tell me that a teacher had told him to go home and take off his 'knacker stall chain' because he had a thin bracelet on his arm," she said in a voice that began to shake. "I have had to listen to my son come home from school and tell me that a teacher had told him to go home and take off his 'knacker stall chain' because he had a thin bracelet on his arm,"
Ms Joyce went on to say that this example was not unique. She had heard from Traveller women that there were "many cases" where Traveller children were experiencing racism and discrimination. "I'm not saying every teacher but there are many examples of where Traveller children have these experiences in schools today". Ms Joyce said that truthfulness and honesty about the realities of the system was vital if we wanted to see change. Bernard Joyce of the Irish Traveller Movement said his organisation had a very real concern about the use of reduced timetables for Traveller children. This is a practice whereby children are instructed by the school to attend school for only part of the day. He complained that there was no monitoring of this practice by Tusla, or by the Department of Education, and that this needed to be addressed. He said parents were reporting the problem to Traveller organisations. Maria Joyce expressed concern that the problem of reduced timetables was a growing one. She went on to say that many schools also had "incredibly low expectations of Traveller children and blamed that on the fact that many were leaving the system after 8 years of primary school - in some cases even several years of secondary school - not knowing how to read and write. The committee was told that it should have very serious concerns at the extremely low attainment and retention levels of Traveller children in secondary education. Traveller representatives said Traveller children also needed to be able to look at a curricula and see their own lives and culture reflected. They welcomed measures currently in train, and spearheaded by Senator Kelleher, to include Traveller history and culture in school curricula. Maria Joyce called for compulsory anti-rascism training for teachers, and the prioritisation of appropriate data collection within the education system. She said that while there was currently data collection, "we are not seeing the stats and the figures". 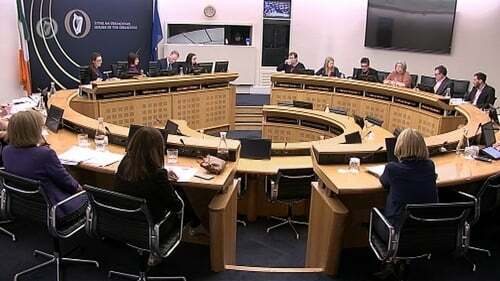 Traveller representatives also called for adequate resources, and, not for the first time, criticised the 87% cut in resourcing for Traveller education that took place in 2011. Bernard Joyce said this cut had had a detrimental impact on Traveller education. Elva O'Callaghan, co-ordinator of an initiative aimed at promoting equality and inclusion in schools called the Yellow Flag initiative, said racism and a poor awareness and knowledge of Traveller identity had a highly detrimental effect on Traveller education and learning, and also self-identity and self-belief. She said it could be hard to challenge discrimination by teachers and school managers, which could be both conscious and unconscious. The Chief Executive of ETBI, the umbrella organisation for the country's Education and Training Boards, Nessa White, said the issue around reduced hours timetabling was an issue that was new to her, and she said it was certainly something that she would be going to explore and see. The ETBs run a large number of second level schools and some primary schools, as well as services such as Youthreach, which cater for adolescents including Travellers, who have left mainstream education. The head of the National Association of Principals and Deputy Principals Clive Byrne, said reduced timetables were generally put in place with the agreement of an educational psychologist, where emotional behaviour or anger management difficulties were present, but he said it should never ever be seen as long term. Ian McDonagh, aged 17, who is a Leaving Certificate student at Merlin College in Galway, told the committee that it was his own dream and hope to join An Garda Síochána and, as a garda, "to open up and say, I am a Traveller". He said there were Travellers working in many different areas but some were afraid to open up. He said his role models in life had been his parents, and community gardaí. "I fell in love with the uniform," he told committee members, "but when I was younger I didn't realise that you have to work to get that uniform." He said that as a small child he would approach community gardaí and ask them how they had gotten in. "By the time I was 11", he said "I knew all the requirements." "I wouldn't take any other job. I want to go in to the guards and make a change," he said. He said that as a garda he would be able to go out and build links with Traveller children and other children who have been disadvantaged. Paying tribute to his parents, Mr McDonagh said they got their children up every morning and showed them the educational values that they themselves had never got. He also had strong praise for his teachers at Merlin College and for a Homework Club operated by the school. He said there was "genuine respect" between teachers and students at the school. Calling for more resources so that schools could operate schemes like homework clubs, Mr McDonagh said that when Traveller children "got knocked down" there was often "no one there to bring them back up". "If I fall", he said, "I have the homework club to help me back up". He explained that he could email his homework club teacher at any time if he had difficulty with a subject and that she would help him. "She's more like a mother", he said, adding that "she would go a mile for us". Speaking about teachers in general, he said It was a case of "50/50"; that Traveller children needed to push but that teachers needed to push to meet them. Again stressing the importance of resources - for all children not just Travellers - Mr McDonagh said that some Traveller children could feel lost, and too ashamed to open up and ask for support. But he said his school's homework club gave him the space to say "I don't understand this".